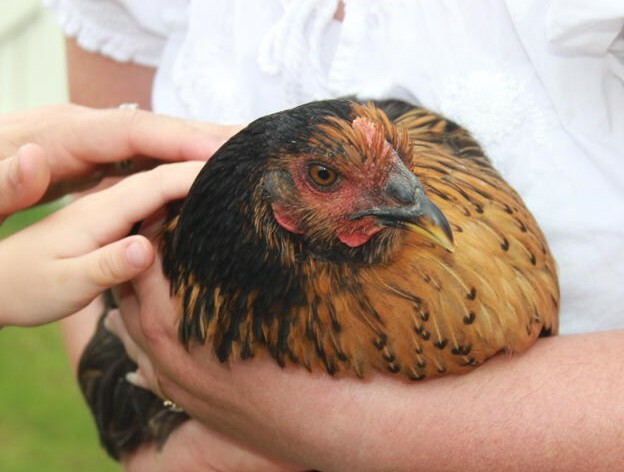 The photos in today’s chickendiary are courtesy of my good friend and former co-worker, Margaret. She won’t call herself a professional photographer, but that doesn’t stop me. 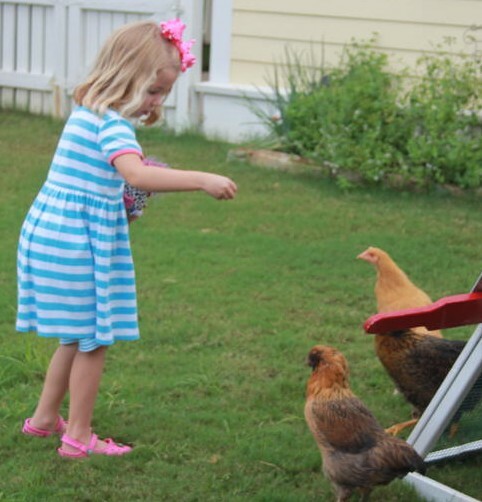 She’s made some beautiful photos of my house and my pets in the past, but today was her first visit to meet my chickens, and she graciously provided a lovely photo shoot. Margaret brought three generations of ladies with her. 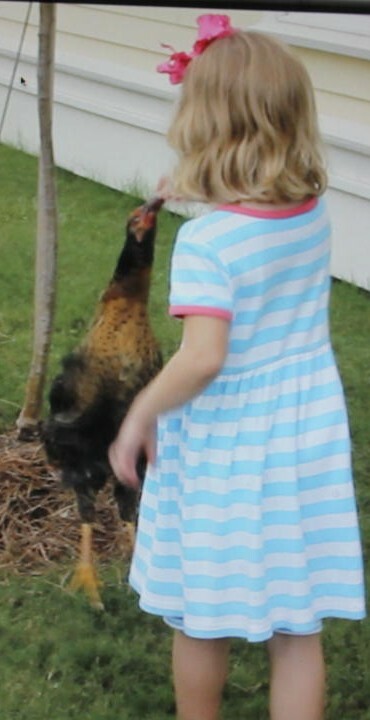 The youngest, Miss Scarlet, had her pet chicken, Wormalina Henbocker, in tow. This is DEFINITELY gonna be the name of my next chicken! I equipped Scarlet with a fistful of grapes and let her feed the girls. 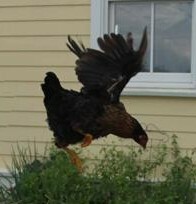 Margaret was able to get the first and only picture of a jumping chicken! The next order of business was to get some chicken love so I caught Miss Violet and she complied reluctantly. Scarlet thought her feathers were so soft. 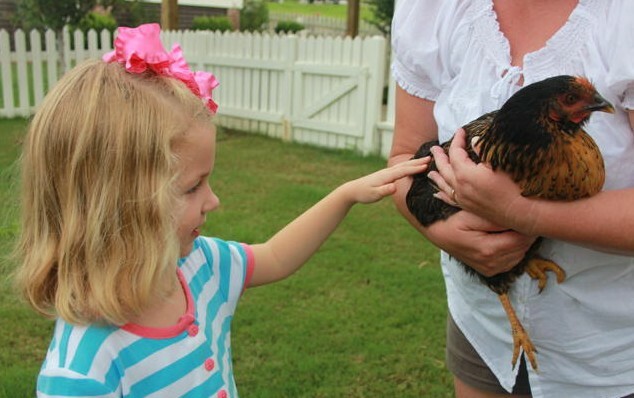 As is the custom with first time chicken watchers, I asked Violet to play the “fly off Mommy’s shoulder” game and she performed beautifully. Again, Margaret caught my little Amelia Earhart in mid-flight. Great job Violet, and FANTASTIC job Margaret! The check is in the mail. No it’s not, but I’ll treat you to lunch soon. Just don’t order chicken. You are welcome to make an appearance anytime!